Through an internship with a New York–based theatre company and her participation in two study abroad programs, Kim took full advantage of her experiential learning opportunities at Drew. I was introduced to performing as a child, but it didn’t become an integral part of my life until third grade. My teacher was very fond of creating skits and short plays, and we performed them for other classes. I was drawn to Drew because of its location. I really wanted to get out of the Los Angeles bubble: I had lived in L.A. all my life. I fell in love with Drew’s campus and its close proximity to New York City. I came in as an intended theatre major. I joined Drew University Dramatic Society. I’ve performed as a dancer and an actor, and I’ve done sound designing for another show. Drew’s theatre department gives their students a very well-rounded education: I’ve studied theatre tech, design, playwriting, arts administration and acting. Growing up, I loved performing. I danced for three years with a studio daily and I was an avid participant in school musicals. Since coming to Drew, I found I needed to focus my energy on one area, which is theatre, but I have been taking voice lessons. I’ve also been very involved with the dance show. I participated in the London/Edinburgh short-term program and the London Semester. I saw some of the most incredible theatre I’ve seen in my life in London, and I wouldn’t have traded that experience for anything in the world. In my junior capstone class, Dr. Lisa Brenner asked all of us to write our own theatre manifestos. 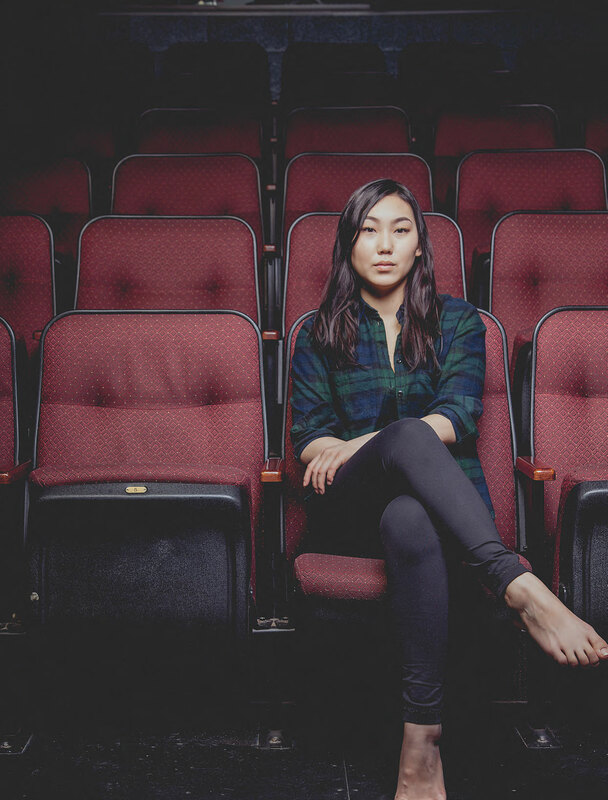 Mine focused on the misrepresentation and the under-representation of Asian-Americans on the stage as well as in film and TV. When I went to her for possible internships for the summer, Dr. Brenner put me in touch with the National Asian American Theatre Company. I was also supported by the Patenaude Internship, which allowed me to afford to live in the city. I learned about the industry firsthand and was a part of a professional show at one of the most prestigious theatre companies in the United States, The Public Theater. I feel I’m better prepared to face my future after graduation. Our faculty support students in grounded, authentic and seamless experiences in the real world. An insider’s guide to what’s happening on campus. Meet seven Drew students and graduates whose internships gave them invaluable on-the-job training. How far can an internship fund go? Drew's Seeing Eye puppy-in-training makes The Forest his temporary home. Clint Bolick C’79 took an unorthodox route to the Arizona Supreme Court. Meet four students from the Theological School who have had extraordinary experiences outside the classroom. The four-year soccer starter on internships, the Semester on Wall Street and winning a conference championship. Nadia Ahmad C’99 launched a career that has taken her from Harvard to Dubai. News from alums of the CLA, Theological School and Caspersen School, and In Memoriam. Seven decades ago, Lester Bower, Jr. C’49 spent four “very happy” years in The Forest.